1. The 4004 microprocessor provided computing power for the Pioneer 10 spacecraft, launched on March 2, 1972. The Pioneer 10 was the first spacecraft to enter the Asteroid Belt. It obtained the first close-up images of Jupiter, charted Jupiter's intense radiation belts, located the planet's magnetic field, and revealed that Jupiter is predominantly a liquid planet. Pioneer 10 is still exploring the outer regions of the solar system, studying energy particles from the sun and cosmic rays entering the Earth's portion of the Milky Way. 2. In 1969, Busicom, a Japanese calculator manufacturer, asked Intel to design a set of chips for a line of high-performance programmable calculators. Busicom's original design required several chips, which Intel engineer Marcian E. (Ted) Hoff considered too complex to be cost effective. Also, Intel's small MOS staff was fully occupied with the 1101 memory chip, so design resources weren't available. Instead of the multi-chip solution, Hoff came up with a general-purpose processor that could be programmed for various uses. At first, Busicom was sceptical about the design, but in early 1970 they agreed to the concept and signed a contract whereby Intel would develop the calculator chips for $60,000. Intel delivered the chips, and Busicom eventually sold some 100,000 calculators. Once Intel realised the potential of the new chips, the company offered Busicom a lower price in return for the rights to the microprocessor design and the rights to market it for non-calculator applications. Busicom, by then in financial trouble, agreed to the deal. 3. The Altair 8800, often called the first personal computer on the market, was sold to hobbyists as a $439 kit. It was based on Intel's 8080 microprocessor, had 256 bytes of basic memory, and was programmed by flipping toggle switches on its front panel. One early user recalls that writing programs for the Altair wore blisters on his fingertips. The Altair was produced by MITS, a company owned by Ed Roberts. It was wildly successful; several thousand Altairs were sold between 1975-1977. In 1977, Roberts sold MITS to Pertec Computer Corporation, and went off to medical school in Georgia. The Altair was introduced in a cover story in the January 1975 issue of Popular Electronics. To demonstrate the machine's capabilities to the magazine editor, MITS had to ship its one and only working Altair to Popular Electronics in the summer of 1974. Unfortunately it was lost in transit, and MITS didn't have time to assemble a second Altair before the magazine's editorial deadline. Popular Electronics editor, Les Solomon, took a gamble and introduced the computer anyway, with a cover photograph of a hastily assembled outer shell of the Altair 8800. A quote from the Popular Electronics article about why Intel's 8080 chip was chosen for the Altair: "In practice, a lower-performance processor would have been adequate for the majority of the tasks the user might wish to initially define. But the problem with lesser-power approach is that relatively little money would be saved, and it would be doomed to near-future obsolescence for practical purposes. Our intent here was to produce a processor with more than enough power to handle any job." Ed Roberts originally named his computer the PE-8, in honour of Popular Electronics magazine. There are conflicting stories about how it came to be known as the Altair 8800. One story is that a Popular Electronics editor named the machine for the Altair star because its introduction was such a "stellar" event. Another story is that a Popular Electronics editor wanted to give the PE-8 the same name as the computer on the starship Enterprise from the Star Trek TV show. As it turned out, the spacecraft's computer had no name, so he chose Altair, the destination of the Enterprise in one Star Trek episode. 4. The Micral, introduced in 1973 and powered by Intel's 8008 chip, was the first commercial non-kit computer based on a microprocessor. The term "microcomputer" first appeared in print in reference to the Micral. It was marketed by a company called R2E, and was the first microcomputer in France. Supposedly it was the first personal computer programmed by Philippe Kahn, founder of Borland. The 8008 that powered the Micral was essentially an 8-bit 4004. It was originally intended to be a custom chip for Computer Terminals Corp. of Texas (later known as Datapoint). CTC rejected the 8008 because it was too slow and required too many supporting chips, but when Intel offered it to the open market, it was quite successful. 5.The 4004 and 8008 ran at .06 MIPS, the 8080 ran at 0.64 MIPS, and today's processors run at several hundred MIPS. Like the 8008, the 8080 was an 8-bit chip, but it had a much larger instruction set. Also, the 8008 required 20 additional chips to produce a working computer, whereas the 8080 design only needed 6 chips. The 8080 was introduced in April 1974 at $360. 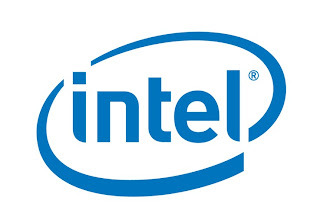 According to Intel's Dave House, "That figure had a nice ring to it. Besides, it was a computer, and they usually cost thousands of dollars, so we felt it was a reasonable price." 6. The Compaq Portable computer, introduced in 1983, was based on the Intel 286 microprocessor. The machine was 100 percent IBM compatible, as proven by its ability to start from an IBM diskette. Despite its 28-pound weight and sewing-machine dimensions, it was considered "portable", and was popular among travelling computer users. Much higher-performance notebook computers now weigh around six pounds. 7. More than 500,000 of the Pentium Pro processor's transistors could dance on the head of a pin. The Pentium Pro processor is the first high-volume microprocessor that combines two die in a single package to boost system performance. Inside the package are the processor itself and cache chip (a high-speed bank of memory). The cache chip incorporates 15.5 million transistors, almost 3 times as many as the processor, but the cache chip is smaller because memory transistors can be packed much more tightly than logic transistors. 8. If you had a five cent piece for every one of the 2,300 transistors on the 4004 and stacked them one on top of the other, your stack would be about 432 cm (.0043 km) high. If you had a five cent piece for every one of the 5.5 million transistors on the Pentium Pro processor, your stack would be about 10.29 km high. If you laid your 5.5 million five cent pieces out, they would cover about half of a grid iron football field. The average human hair is about 10 times wider than the circuit lines on the 4004. The average human hair is about 285 times wider than the circuit lines on a Pentium Pro processor.